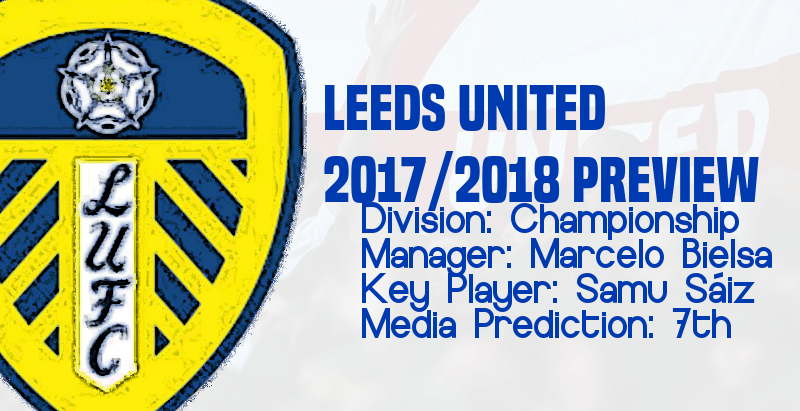 Leeds finished the season 13th in the Championship, 15 points outside the top six. Heckingbottom won four games during his four-month reign. His final two matches – two friendlies – were in Myanmar, on the club’s heavily criticised post-season tour. Only one of the club’s previous eight managers, Garry Monk in 2016-17, has lasted a whole season in the role. 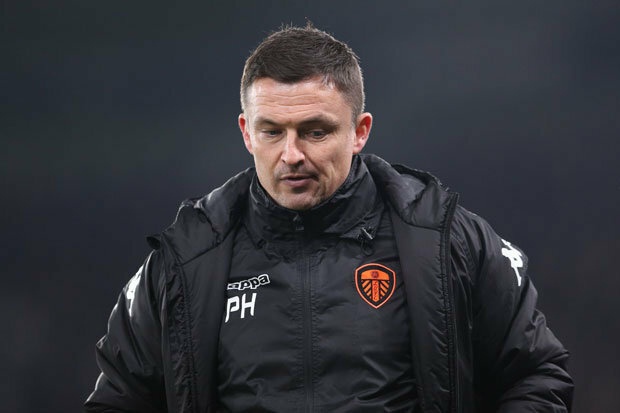 Heckingbottom was a surprise appointment given he had only extended his deal with Yorkshire rivals Barnsley the previous week and the Oakwell club said they were "shocked" by his departure. Heckingbottom’s assistant and the former Leeds defender Jamie Clapham will also leave. The head of fitness, Nathan Winder, and analyst Alex Bailey will also depart, while the set-piece coach Gianni Vio – who was recruited prior to Heckingbottom’s arrival – will not have his contract renewed. Hey guys, I'm delighted to be back writing after a lengthy hiatus from the site, and I can only apologise if you desperately missed me (which I'm sure you all did). This time I will be writing about the team that I support and have had a season ticket for 10 years this season. I hope you all enjoy the story! I'm almost as excited for this story as ImDonkey is over Harry Kane! Leeds United director of football Victor Orta steps off the private plane landing at Rosario Islas Manilvas Airport alongside managing director Angus Kinnear. The pair, touching down after 6 hours in the air were about to head into potentially the most important set of managerial negotiations in the club's history since Howard Wilkinson's appointment in 1988. Various newspaper reports had been saying the club were in for Claudio Ranieri or Marco Silva, but the truth was that they had their heart set on the idol of Pep Guardiola, and the 'father figure' of Mauricio Pochettino. A household name in the footballing hemisphere - Marcelo Bielsa. Bielsa had just come out of a poor spell at Lille OSC in Ligue 1 in which his contract was terminated after 13 games. This also followed a disastrously short spell at S.S. Lazio where the Argentinian quit as manager of the Serie A outfit after just two official days in the job as the board failed to secure any of Bielsa's requested signings which were part of the negotiations in which Bielsa agreed to join with. However, previous to his most recent failures, Bielsa worked wonders with Newell's Old Boys, taking them to a final of the Copa Libertadores in 1992 before spells in international management with Argentina and Chile. His return to club football was also a success with Athletic Bilbao which included an incredible 3-2 victory over Manchester United in what was described as 'one of the best underdog performances ever' by numerous pundits and analysts. Both Orta and Kinnear recognised Bielsa's volatile approach, earning his nickname "El Loco" through his unconventional methods, that has got him respect internationally as well. Orta and Kinnear had to play this cool. The duo arrived at the Rosario restaurant where they had arranged to meet Bielsa and his team. They were placed in the meeting room which was placed downstairs, away from any exterior noise and the theatre for one of the most exciting developments in Leeds United's recent tainted history. Marcelo Bielsa plodded down the stairs loudly towards the negotiating table, shaking hands with Kinnear, Orta and the English/Spanish translator that the club had provided for the meetings. Shortly after Bielsa sat down with his team, eight shots of straight vodka was brought over to the table. Kinnear and Orta assumed the shots were a gift from Bielsa and his team to thank them for making the journey to Argentina, and leant over to grab a shot glass, nodding towards Bielsa to thank him for the gift. The 62-year-old 'madman' held his hand up in a 'stopping' motion. He moved the tray towards himself before grabbing one shot, tipping it down his throat, followed by another and then six more before the tray was empty. Drunk out of his mind, "El Loco" took a back seat as his team began negotiations. After five hours of vigorous back-and-forth talking, the two parties came to an agreement. They agreed Marcelo Bielsa's wage, contract length, bonuses, wage rises and get-out clauses. But above all, the club agreed to pursue six signings of Bielsa's request, which were make or break in the negotiations due to the poor quality in the Leeds United ranks. Six signings?! I look forward to what is about to occur at Leeds United. Welcome Bielsa! 2018-06-22 20:05#249904 ScottT : Six signings?! I look forward to what is about to occur at Leeds United. Welcome Bielsa! Leeds United have confirmed Marcelo Bielsa as their new head coach on a two-year contract. The Argentinian put pen to paper in Rosario last night, ending weeks of intense negotiations and agreeing to replace Paul Heckingbottom at Elland Road. Leeds began an ambitious bid to land Bielsa - one of the world’s most renowned and respected coaches - last month and have handed him a salary in excess of £2m, the highest sum ever paid to a manager of the club. 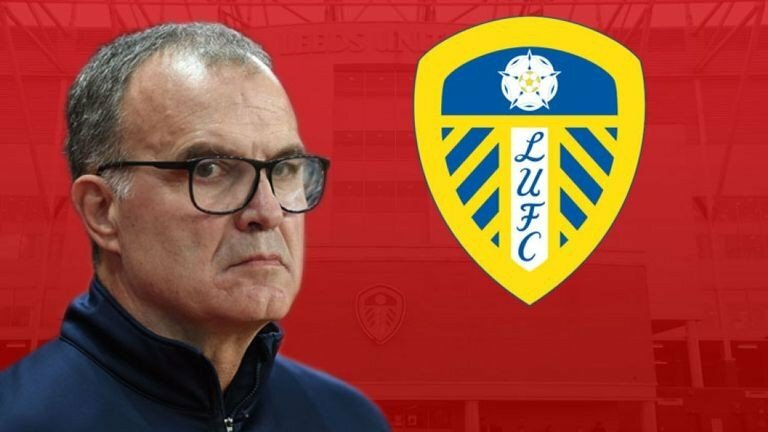 The 61-year-old is due to fly to England towards the end of next week and will bring a large backroom team with him as Leeds prepare for a major cultural shift at Thorp Arch. The former Argentina manager told the Yorkshire Evening Post: “It has always been my ambition to work in England and I have had several opportunities to do so during my career. Bielsa met with United's owner Andrea Radrizzani for the first time in Argentina, however it was the Whites' director of football Victor Orta that orchestrated this coup for the Championship side after getting to know Bielsa through his journalism days in Spain. His two-year deal includes an option for Leeds to extend the agreement into a third season if the partnership proves successful. His five-strong backroom team at Elland Road is set to include a number of long-time allies, including Argentinian coaches Pablo Quiroga and Diego Flores and Chilian Diego Reyes, all of whom have worked with Bielsa at other clubs. Bielsa has earned a reputation as a highly innovative and volatile coach during almost 30 years in senior management. His earliest jobs brought league titles in Argentina but his most recent post at Lille lasted for six months, ending in his sacking last December. Leeds, however, quickly installed him as their first choice after deciding to dismiss Heckingbottom after a horrific 16 game-spell in charge. Part of the deal that Bielsa signed to join Leeds United included the promise that the club will pursue a minimum of six signings that Bielsa wants at the club before the Championship season kicks off against Bristol City at Ashton Gate. Bielsa will arrive in West Yorkshire on 26th June to take first-team training at Thorp Arch before a friendly fixture against KRC Genk at the beginning of July. Got to mention Leeds' history, it's the only thing they have to cling onto these days, considering how poor their recent history is. Justice: Alive and breathing baby. Winning League Two on the smallest budget within the Football League. The transfer window starts with a bang this year, as we announce six new arrivals at the beginning of July to rubber stamp my arrival at Elland Road, two of which are loanees from an old friend of mine - Pep Guardiola - who has lent us two of his youth prospects. The first arrival was Angus Gunn who arrives on loan from Manchester City. For the duration of his loan, we will not have to pay any of his wages, with all of his £4,000 weekly wage being paid for by oil-rich City. 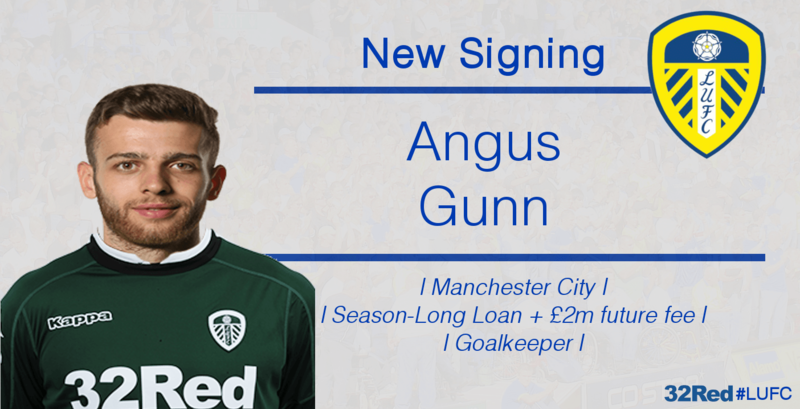 Included in this deal, there is the option to purchase Gunn permanently for a meagre fee of just £2million. Gunn has yet to experience a full season involved in first-team football, but I believe that he could be one of the best goalkeepers in the league this season should he play up to his maximum ability. 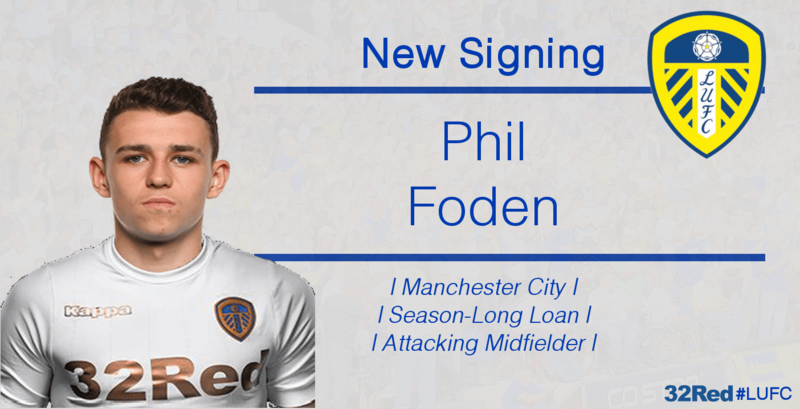 Another loan signing poached from our new ally Manchester City is the hot prospect Phil Foden. Fresh from a busy summer playing for England Under-17's where the Young Lions finished runners-up, Foden has linked up with the team, with Man City once again paying the wages for the youngster who has been tipped for stardom by the English media. Although he falls lower in the pecking order than the likes of Samu Sáiz and Pablo Hernandez due to both current skill as well as experience, I will be looking to develop this very technical young player and send him back to the Etihad an improved player. Foden has already began tutoring under Kalvin Phillips' guidance, who will be looking to improve his physical and mental side of his game. 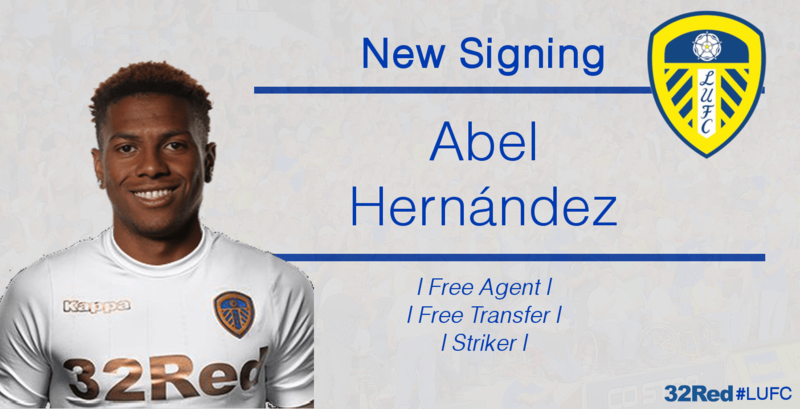 Now for the first permanent signing of the summer, and that is in the form of former Hull City striker Abel Hernández. The player was released on a free transfer at the end of last season as Hull could simply not maintain his wage the more they slid down the footballing ladder. The 27-time Uruguayan international signed for Hull on deadline day in 2014 in a £10M transfer from Palermo. Hernández has already proven himself at Championship level before. 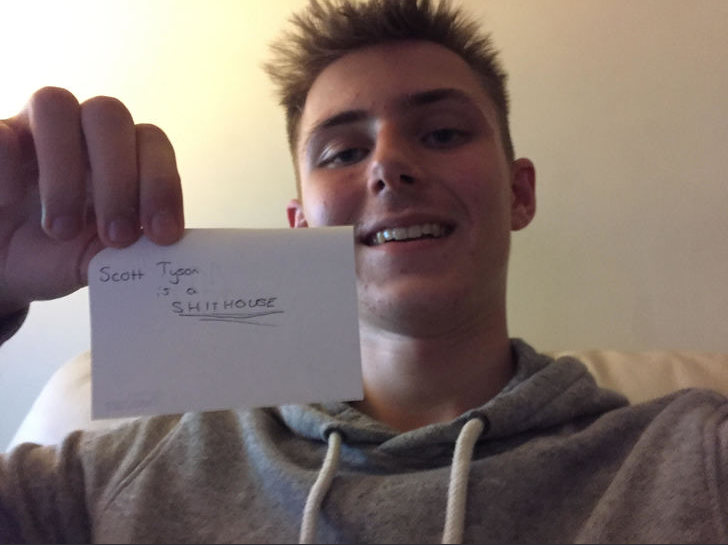 In the 2015/16 campaign he led Hull straight back into the Premier League following the previous relegation from the top-flight. He finished the season on 20 goals in 39 league games. However, Hernández's career has been blighted by injury problems, and he has only ever been fit throughout a whole season just once in his career. This is a concern we had to take into account before making the forward our highest-earning player, but for his quality he may just be worth the risk. 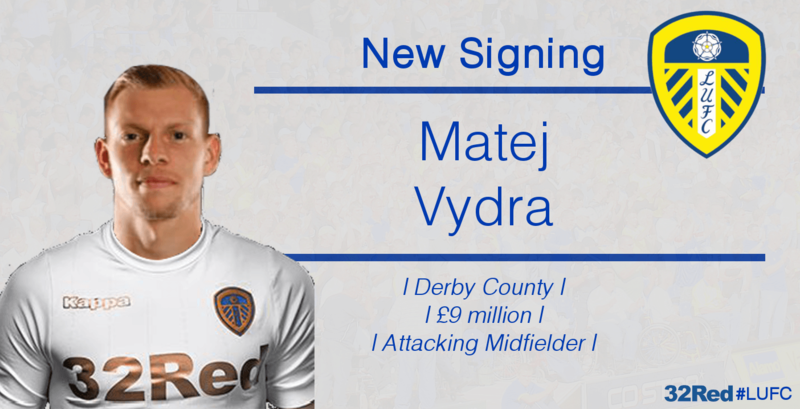 Matej Vydra from Derby was our next acquisition with the most expensive transfer since Leeds' Champions League days. The attacking-midfielder costed us £9M and was a deal which had to be done through a meeting with the board to access the funds. We are delighted with this transfer as we look to create a potent attacking force with the likes of Pablo and Abel Hernández as well as Samu Sáiz. The Czech international has made himself an undoubtedly quality player adapted perfectly for the Championship through his spells with Watford and Derby in recent years. With a front four consisting of Hernandez, Hernández and Sáiz, we are looking at a very threatening team this season. 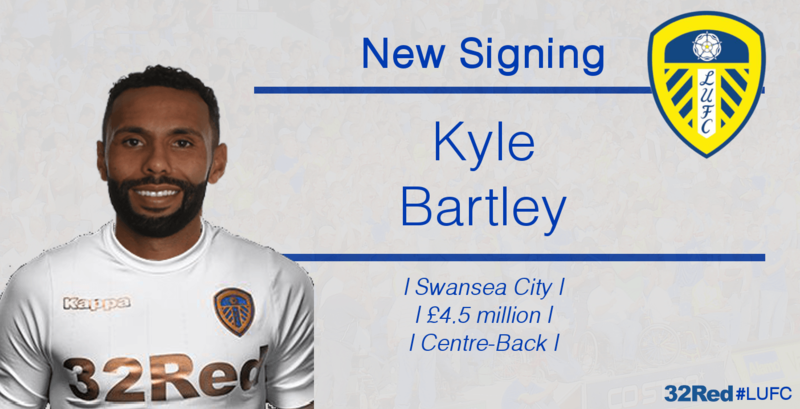 After his season with the club last time around made him a cult hero at Elland Road, Kyle Bartley returns to the club and is reunited with his defensive partner Pontus Jansson at Elland Road for this season's attempt at promotion. The towering centre-back joins the club for £4.5M on £18,000 per week at the Whites and has delighted fans by showing his dedication to the club following Garry Monk's leadership. After making his name in the Scottish football sphere, John McGinn arrives at Elland Road for a bargain £1.5M. The 22-year-old central midfielder was born in Glasgow and has been recognised as one of the best box-to-box midfielders in Scotland for the past few seasons. 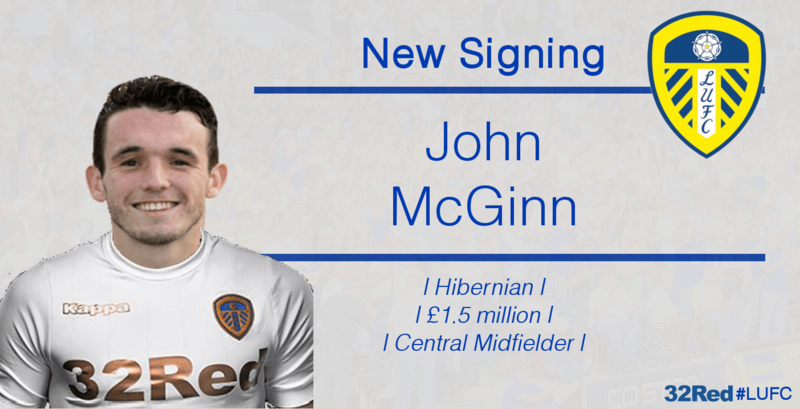 A much more affordable signing, McGinn joins on a three-year deal on £7,000 per week. McGinn will be competing in a very congested central midfield spot where there are no less than 9 players in that position in the current first-team at Elland Road. In typical Bielsa fashion, we will be playing a 3-3-3-1 formation this year which has revolutionised the football scene after the spells with Argentina and Chile with highly demanding pressing, elaborate attacking and transitioning set up which concluded in a commendable exciting style of play. The slightly eccentric 3-3-3-1 formation, which consists of three defenders - one sweeper with two stoppers at each side, three midfielders - one defensive shield with two lateral-volantes at each side, three attacking midfielders - one enganche and two inside forwards at each side and one target forward. The 3–3–3–1 allows great transitions from defending to attacking, as many of the players used in the formation can perform both defensive and attacking tasks, this enables the team to establish superiority in numbers in every part of the field since with this formation his teams could defend with seven players, attack with six or seven players, or protect a scoreline by overwhelming the midfield with 6 players. With this as our main tactic, I will look to use different formations such as the 4-2-3-1 and 4-3-3 in ways that Bielsa has used before at Athletic Bilbao and Marseille to fulfil his philosophy. With the arrival of Angus Gunn, we now have three goalkeepers in our ranks, following Felix Wiedwald's departure to Frankfurt before my arrival. This leaves Gunn as our best keeper in the team, followed by Lonergan (who is currently transfer-listed) and Bailey Peacock-Farrell who impressed last season in a poor Heckingbottom side. With Lonergan on his way out this summer, we will look to bring in a more experienced keeper to join the ranks. With Vurnon Anita on such a high wage, I will be looking to offload him this summer with the Dutchman valued at £6.5M. 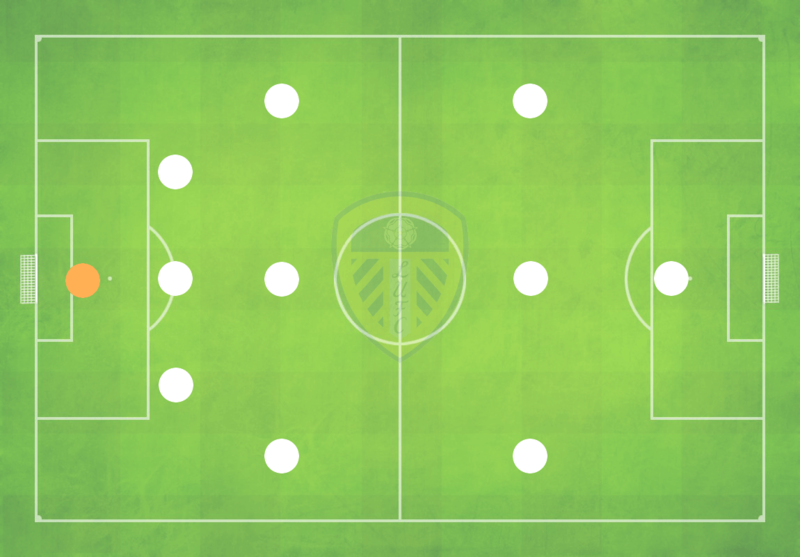 This would leave me with the choice between Berardi, Ayling and Coyle for the right wing-back role in the team, which I feel Lewie Coyle is actually best suited for. I could also look to move Ayling into the centre of defence this season alongside Jansson and Bartley for added depth. Pontus Jansson returns for another season as our standout centre-back for this campaign, and he is reunited with his old partner Kyle Bartley at the back who joins from Swansea City. Liam Cooper has been unlucky in his recent years at the club, particularly after he didn't impress last season despite being captain of the team. However, he hasn't been transfer listed yet and I may give him until January to show me why he should remain at the club. Under-23 players Paudie O'Connor and Aapo Halme are also in with a shout at first-team football this year after impressing youth coaches at the club. The team is running especially light in the left-back position after selling Charlie Taylor last season. Both Thomas Christiansen and Paul Heckingbottom have had to use Berardi in the left-back position until Tom Pearce was recommended by Under-23 manager Carlos Corberan and shone in the last few games of last season. It is an area I will look to improve on this summer. The centre of midfield is a position where we are currently spoilt for choice with good players. The acquisition of John McGinn this summer has bolstered it further and has become one the best midfielders in the team. Mateusz Klich delighted Utrecht fans in his loan spell with the Eredivisie side last season so the Polish 27-year-old will be getting a look-in this season, alongside January signing Adam Forshaw. Vieira and Ideguchi will be used sporadically due to their youth, and depending on form, could secure a regular place in the team. Stuart Dallas is into his third season at Elland Road after joining from Brentford in 2015. The Northern Irish international has been a consistent performer throughout his stay at the club and I am hoping for more of the same from the winger. I will look to sell Cibicki after a poor season last time around and I will try and bring January signing up to full fitness for use on the right-wing or as a striker this season. Samu Sáiz delighted fans last season and almost immediately became a favourite down at Elland Road for his talent and flamboyancy on-field. However, his season was marred by a six-game suspension for spitting at a Newport County player in the FA Cup. He will return this season and hopefully with more discipline. Our new signing Matej Vydra also bolsters this position more after startling season last time with Derby County. Pablo Hernandez and Phil Foden will offer even more back-up in this area. The left side of our squad really does need filling up slightly more as I am tempted to use Alioski as a left wing-back rather than a winger this season, and Madger Gomes is simply not up to the standard I need to mount a promotion push this season. More signings are to be expected in this area. Abel Hernández has helped improve the standard of strikers in the squad, and you can expect Matej Vydra to be making an appearance up-front where Hernández is absent. Jay-Roy Grot will be sold as he is not up to the required quality for the team, and Temenezukhov is definitely one for the future and could be sent out on loan this season. Brilliant signings. Anything less than promotion is a failure, no pressure. 2018-06-28 15:59#250047 ScottT : Brilliant signings. Anything less than promotion is a failure, no pressure. You are reading "Leeds United: That South American Look".